A man and a woman were attacked in Alexandra Park by several people on Tuesday, January 6. The victims were walking through the park to visit family when the assault took place at 5.26pm. The woman suffered no injury, but the man received a graze to his head and bruising to the eye. PC Dan Moss said: “This was a particularly unpleasant and unprovoked assault, in a public area popular with families and dog walkers. 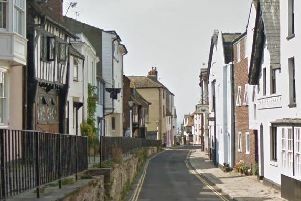 A 17-year-old girl from Hastings was arrested on suspicion of common assault. She was questioned and bailed until Wednesday, February 11 while enquiries continue.